Brendan Davies: In The Long Run: Stampeded! 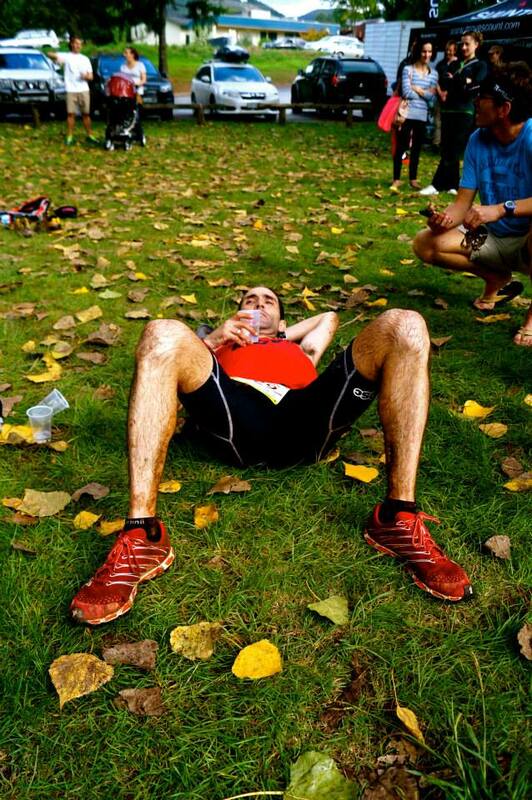 I’ve been chipping away at this race report for a week or so, umming and ahhing about the content. I’m sure no one needs to hear again how tough the events over this weekend were. So from the beginning, I just want to congratulate each and every participant who had a crack at this race. There doesn’t get much tougher in Australia, simple as that. I was honoured to be a Race Ambassador in the event’s inaugural year. 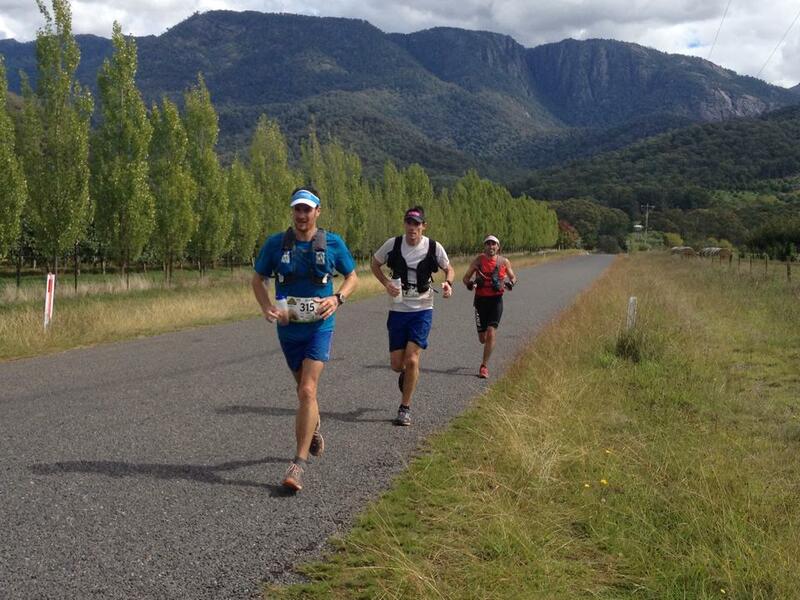 It was a role I love, and despite my big 'A' race for the first half of the year being Western States, I was very keen to put in a strong effort and be the best Ambassador I could be for Sean and Mel who have put their hearts, much time and many trips from the Blue Mts to Bright and back into the organisation. It’s a real sign of the growing development of trail running in this country that Australia was able to host a truly epic SkyRunning event. There are only a few places in Australia that could host such a race with its specific requirements, and there is no better place than Bright. Beautiful, picturesque and pleasant; it has the right feel to lure anybody. Put on a running event and it’s a sure thing to be a winner. 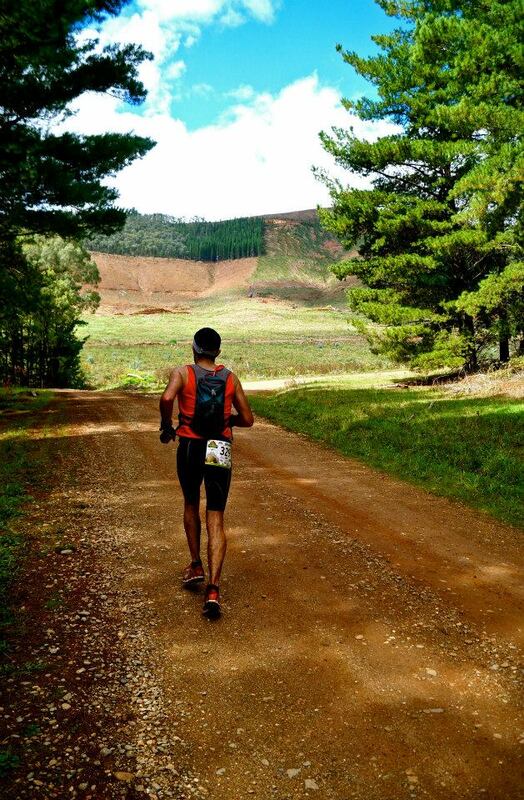 For me, after Tarawera, I was keen to keep the gradual build up going. Whilst being a little disappointed with the result there, I knew that it was probably a pretty true indication of where I was in my journey to Western States. I’ve deliberately held back starting my big volume block until later than usual this year as I’m trying to time my peak period much more carefully this year and get to the big one in top shape. 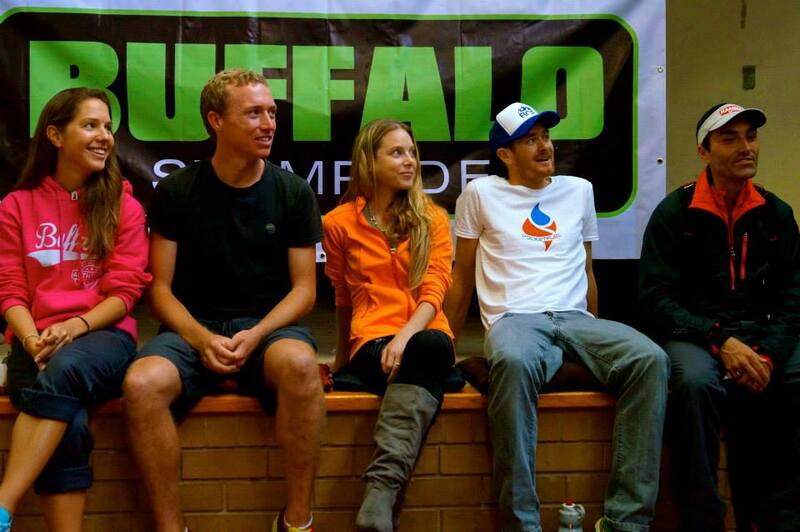 Race eve saw me join the other Race Ambassadors; Anna Frost, Grant Guise, Dekota Jones, Reece Ruland and Beth Cardelli on stage for a light hearted talk hosted by Marcus Warner, president of the Australia/NZ SkyRunning Association. It was great to see so many other participants there smiling and sharing the experience. Sean Greenhill introduced the forum and the big guy stood ominously under the elevation profile of the Stampede proud in the knowledge that there would be no tougher challenge ever than his creation for many of the people in the room and soon there would be grimaces replacing those smiles! As Sean stood there, resplendent in his shiny Western States buckle, I took a minute to remind myself that tomorrow’s race was a significant moment in the journey of Australian trail running and we were all part of a little bit of making history. I had a good dinner of polenta and lamb cutlets in town and slept very well the night before in the very comfortable room at the homely Café Velo. I awoke early and had a big breakfast at 4:30am and got dressed in my racing kit before lying down again for a little while. Soon, it was time to move to the start and I walked down with Wes and Kellie Gibson to the banks of the Ovens River. The vibe was electric at the start and I shook hands with many friends, the type of handshake that was quietly saying ‘we are going to go through hell today, I hope to see you at the finish’! Before long the cowbell was rung and we were off, through Bright and towards Mystic Mountain. I settled into the lead pack and the pace was very cruisy. Leading them out, no one was keen to follow me down the wrong way which I attempted just before the first single track on the climb to Huggin’s Lookout. Thankfully Mick Donges took the tour guide role upon his shoulders from here and I was confident that he out of everyone would know the way! The congo line of runners running up to the lookout was a brilliant light show; at one point on the switchbacks I looked back down the trail and just saw a snaking line of glowing headlamps. Brilliant! Once we hit the mountain bike trails leading up to the summit of Mystic Mountain, the field spread a little thinner and I was running well with the Kokoda Spirit team; Caine Warburton, Moritz auf der Heide and Ben Duffus (who seemed to be all on a similar race strategy), Mick, Blake Hose, Grant and Andrew Tuckey. As soon as we summited Mystic together, off shot the Kokoda boys and I thought that it was either a pretty gutsy move to lead out at that pace or they had no idea what was coming. For me the racing wasn’t going to start until the end of the loop on Buffalo on the return journey. My tactic was pretty much harm minimisation until then and I wasn’t keen to go with them this early. Heading down the Mystic descent, I thought how lucky we were to have had a bit of rain in the past few days which softened up this mad drop down to the gully below. During the SkyCamp, the course was dry and this descent was very very treacherous; slippy and loose. The rain had made the earth more penetrable and the lugs on my X Talons 190s were eating up this stuff. This is the type of foundations that Inov-8 shoes were built on! Summiting Clear Spot with the sissy sticks! What acracking morning we had to! I followed Blake down and was impressed with his technical descending skills; this guy is no doubt a superstar of the future. He looked so comfortable throwing himself down and can climb like a demon too. Once at the bottom in the gully I went about getting my poles out of my kit for the Clear Spot climb. While doing this, Clarke McClymont appeared with Andrew, Mick and Grant and we got stuck into the climb together. My plan was to get to the top feeling like I’ve done a good climb but not busted. I managed to stick with Clarke and Tucks most of the way. Clarkey was using his poles to hurl himself up the hill; much more return from them that I was getting! Meanwhile around half way up Dekota Jones cruised by and went after the Kokoda boys. He seemingly wasn’t even working! I summited Clear Spot well and felt like a job well done; I’d slipped slightly off the back of Clarke, Tucks, Grant and Mick but that was OK, hiking is definitely not a strength of mine but I wasn’t too far from the pack and now we had a big downhill. Giddyup! Argghhh!! Eventually I got my pack sorted, turned around and retraced my steps, poor Andy Lee had followed me down the wrong turn too and I was very apologetic. In hindsight I could have avoided this whole mini debacle by stopping on the summit of Clear Spot and taking 20 seconds or so to do it there. Eventually we made it to Warner’s Wall and I attacked it vicously, hurtling down, the X Talons gripping the soft soil beautifully. I managed to catch Clarke by the bottom and hit the road section to Buckland Rd full of running. I got to the Buckland Rd aid station a little behind where I wanted to be and resolved to hit Keatings Ridge a little stronger than I had planned to try and bridge the gap a little. The Keatings climb is my type of climb, I can do that sort of thing all day and night; and once at the summit threw myself down the long gradual descent to Eurobin Ck. I hadn’t seen anyone on this leg at all except the lovely Anna Frost who was out forerunning the course. She was as joyful as ever and gave me some good encouragement, telling me that a couple of the front runners were working way too hard and that I looked comfortable in comparison. I emerged out of the bush and I hit the short downhill road section leading to the checkpoint well and caught a glimpse of Tucks, Mick and Guisey altogether on the road. By the time we got to the Checkpoint we basically all came in as a bunch. Nadine had all my stuff ready to go, I restocked water and Hammer Perpetuem, dumped my poles as per the plan and left quick smart with Tucks just behind me. The Big Walk climb I knew was a crucial uphill and my plan was to get to the top feeling like I had worked, but not to the point of exhaustion or ever going over that threshold line. So I dug in, just small little grinding strides. By the first road crossing I’d almost caught Tucks (who had gotten ahead of me), Grant and Mick who were working together. Just before the second road crossing I had joined the group and we enjoyed each other’s company chatting away. I hadn’t realised at the time but all of us being over 30 had inadvertently started the ‘old man train’ as it was later to be dubbed. With 20 somethings Dekota, Blake, Ben, Caine and Moritz out in front it was becoming quite a battle of the age brackets! Unfortunately at the next road crossing, Mick slipped back and I was later to learn was hurting quite badly from back issues so it was left to Tucks, Grant and I to dig in. We ran a lot of the climb together. I took a bit of a spill on the granite rock slabs, thinking the rock was much grippier than it ended up being, and this was a little reminder to take care of myself; there was a long way to go. A couple of km from the top Grant and Tucks pulled away and I was left to summit solo, which was good in a way as I didn’t want to get stuck running at their pace; they were both in fine form and climbing very well. It was great to see Grant especially at the top of his game; he had obviously aimed up for this race and talking to him he told me this was the best form he had been in in a long time. It was showing! I was greeted with cowbells and claps at the top of Buffalo and ran through the aid station, deciding to restock on the return before the descent. The Underground River and Chalwell’s Gallery loop is a deceiving little loop, full of little up and down pinches and some of the stairs were now beginning to hurt a little and forced me to a hike. Just before finishing the Underground River trail section of the loop, Dekota came easing by on his way back and man did he look good! Blake wasn’t too far back either and had his race face on. Then shortly afterwards Ben Duffus came along. Wow this is definitely the next generation of ultra runners right there! They’d taken on Buffalo hard and with a pretty damn good prize for first Australian home it was game on it seemed! I didn’t see anyone else before I started the Chalwell’s Loop and given that I’d lost around 3 minutes stuffing around down Clear Spot I was happy were I was positioned. 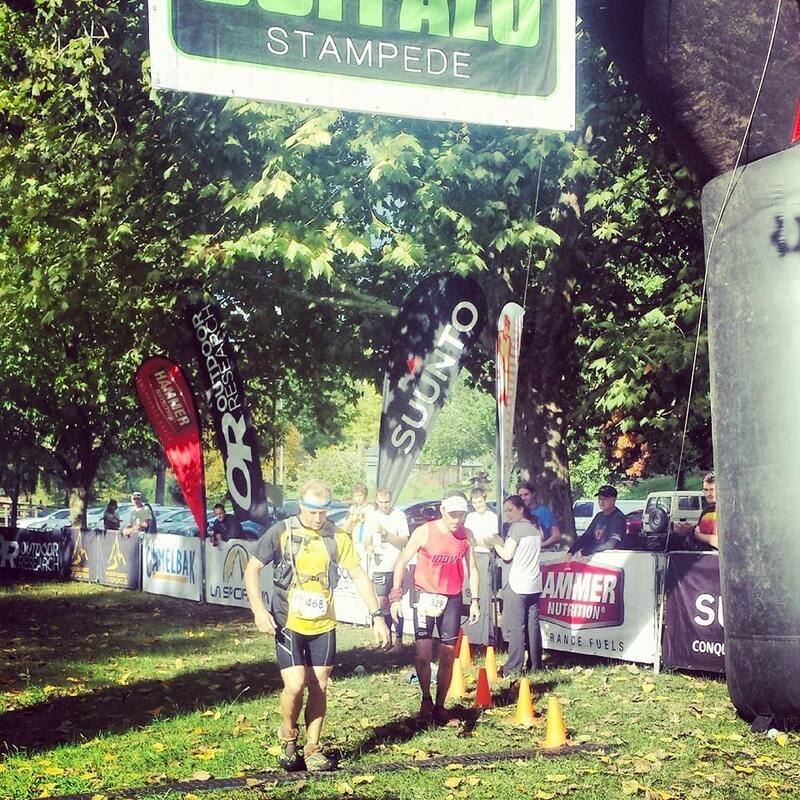 The race definitely would start for me on the Buffalo descent, where I could run to my strengths a little more. On the return back to the Chalet, I loved seeing the other runners come up the trial. Near the entrance to the Gallery Loop, I saw Clarke who was just starting the loop, then a little back were the Lees (Andy and Mark), Wes and many others. We high fived and yelled words of encouragement to each other. There was a lot of camaraderie out there! At the Chalet, I restocked my supplies and caught up to speed with Nadine about how the race was panning out in front. It was a little disappointing to see Moritz there having pulled from the race with ITB issues. He had run a brilliant Tarawera and I was keen to see what he could do on this type of course. I kissed Nadine goodbye and I hit the descent hard, resolute on catching Tucks and Guisey. I was told the gap was 4 minutes and I knew I could bridge that by the bottom. I ran hard all the way too, stretching out on the second half of the descent, throwing a bit of caution to the wind and no doubt hurting my quads in the process. I loved greeting all the runners coming up the climb and everyone was so courteous, moving to the side of the trail and giving room. I saw so many friends; some I’d met at the SkyCamp and others back from home or elsewhere, but they all so determined to get to the top. This was a real highlight of the race for me. Back down at Eurobin Ck checkpiont, Nadine had mentioned that I was now only around a minute or two behind Tucks and Grant with Caine not too far in front but the others were ‘miles ahead’! I restocked on Hammer Gels and Perpetuem and Nadine asked if I wanted my poles. Having the earlier experience of trying to get them back in my pack in the back of my mind, I stupidly I said no. Leaving the checkpoint, I got stuck into the road section, wishing all the juniors on their road bikes who were participating in their National Champs the best of luck and it was good to see the a connection happening between sportspeople from different disciplines, albeit temporarily before I turned left to hit the trails. About a third of the way up Keatings, Brick and Gretal who were sweeping the race came by and I asked them how far Tucks and Guisey were and they said ‘just ahead’. There just happened to be a nice straight section of trail just then and I finally got a glimpse of them, surprisingly walking up the gradual ascent. I thought that finally some reward for hard work! The Old man Train chugs towards Buckland! So I got stuck in and slowly and surely reeled them in and by the very top of the ridge had caught them and once again the old man train was back rolling on. We descended Keatings well, I was keen to pull away from them to give me some breathing space but they both dug in and we hit the road to the Buckland aid station working well together. We got to see, on a long stretch of road, Caine running ahead and we estimated the gap was 3 minutes. The old man train made a pact to dig in and go after him! It was at the this checkpoint that I made a big mistake, taking on too many cups of coke, and in hindsight I would have been much better off just running through there and not stopping. Immediately after drinking them, I began to get some stomach issues and knew I had taken on too many calories too quickly and I needed to back the pace off. Nadine was on the douche grade road section leading up to Warners Wall and I told her it was going to be a bit of a struggle now to hold onto Tucks and Grant who had already started to slip away a bit. And Warner’s Wall sucked hard. 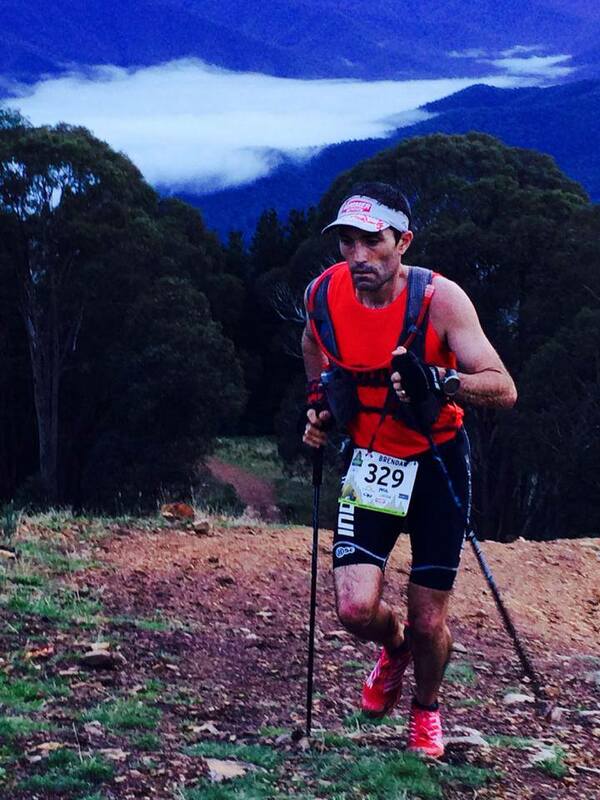 Not long into the climb I came across Ben Duffus, laying flat in the middle of the trail motionless. I did have a moment of thinking the worst but this was put to rest when he was able to tell me that he had called for assistance and it was on it’s way. Later I was to hear his full story but it’s best to read his own open and honest account here. About half way up the Wall of Death, all the Coke and banana I’d had at Eurobin came up and I couldn’t believe I’d made such a stupid mistake with my nutrition. I needed to press the reset button, give up on staying with Tucks and Grant and just get back to basics; water and Hammer Perpetuem as per the race plan. I marched on. I didn’t realise how long this climb was and every time I attempted to break into a run it was only short lived before my heart rate told me that I’d be better served power hiking this! It seemed like forever but finally I got to the top of Clear Spot to be told that Tucks and Guisey had opened up the gap to half an hour which really didn’t surprise me at all; I just felt so sluggish on that climb. I descended Clear Spot cautiously; my quads were now quite tenderised and fatigue was creeping in. Finally I got to the final Checkpoint at Bakers Gully, a bit wrecked but knowing I’d get the job done. Tiffany McClymont and Ed Perry were both there, and Tiff told me I was in 5th, which didn’t equate so I inquired as to who was in front and she told me that Blake had dropped at this checkpoint a little earlier. This really was a shame as he had obviously put it all out there on the course and gotten so close. But it also meant that now Caine, Tucks or Grant were in line for the ticket to France with Caine in the box seat leading the way. I’ve known Caine for a little while now and have always been impressed with his work ethic towards his training and general enthusiasm for building the sport in Queensland. I couldn’t think of a more worth recipient. So I came to the last climb, mentally thinking I’d at best slowly march up, but physically I was broken. Ultimately Buffalo would win and it was slow murder; it had me hung, drawn and quartered and then emptied me from the inside out. I was rueing not carrying my poles with me on the return journey; I was struggling to get purchase on the terrain and staying upright was hard enough. Finally I found the only strategy that worked; walking 30s and having a 20s recovery break. It was far from ideal but it was, step by slow step, getting me towards the finish! About a third of the way up I could hear Clarke’s dog Cooba barking crazily from the general direction of Bakers Gully and knew that Clarkey must be there. I knew it was going to be a struggle holding him off if I didn’t get to the top of this damn climb. Sure enough, on the longest and slowest kilometre of my life, Clarkey began mowing me down. I was having a little sit down on a log when he was approaching; I was in my own little hurt locker and Cooba comes bounding up with a bloody big stick in his mouth and drops it at my feet wanting to play fetch. If anyone knows Cooba too, he doesn’t take no for an answer! I had to laugh otherwise I would have cried. I didn’t even have the energy to shoo Cooba away, and the little bundle of energy finally left me to finish off my pitiful walk as he followed Clarke up the incline. The salt was well and truly rubbed in the wound when Amadeus, another friend from Sydney, came by. 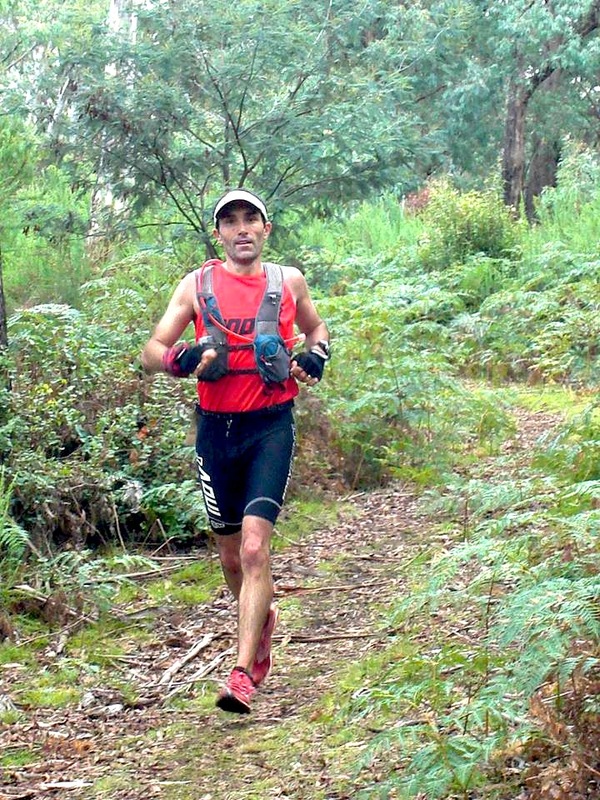 I was very happy for him, there were a couple of guys today who really stood up and showed they’re forces on the ultra trail scene and this bloke is one of them. He’s been getting closer and closer to a big result in a while and it’s very well deserved. Finally I was at the top and out of my misery and my last hurdle was to get back into town down the last descent safely. I nursed myself down, my diaphragm was complaining big time from being worked so hard it was making deep breathing very difficult, and short, sharp shallow breaths was the only method I could manage. Entering the van park with about 600m to go the day was to take another strange twist. Clarkey crossing the line after his misadventure! As I was running through the park, I noticed Clarke with Cooba walking around. At first I thought he had come back out onto the course after finishing the race to see other runners come in, but I could tell from the look on his face that he wasn’t a happy man! He told me he had gone off course and was trying to find the finish. I told him were it was and that I would wait for him at the finish line; I was worried if I stopped to walk I would’ve seized up and I simply just had to keep jogging. It was then that Kellie Gibson came jogging up to me and asked me if I had scene Clarke. I told her that he was just behind me but he was walking it in. At the finish I pulled up and dropped around 5 metres from the finish to wait for Clarke and eventually he walked along and crossed the finish. It was the only fair thing and I guess me out of everyone knows the frustrations of getting lost! Clarke would have been 5th guy, unfortunately Amadeus had no idea about Clarke’s misadventure so crossed in 5th. I guess giving Clarke one spot back hopefully would have dulled his frustrations somewhat! So came the end. 75.5km later, near 10h and 7th position. Thanks again to Nadine for the wonderful crewing as always and to Sean and Mel for the opportunity to be a race ambassador. From the SkyCamp to the finish, I enjoyed every second of it! Thanks Susan, for your hospitality and the beautiful room at Velo, it was so quiet and perfect for the weekend. I'll be back for sure! Ultra Trail Mt Fuji – Round 2!